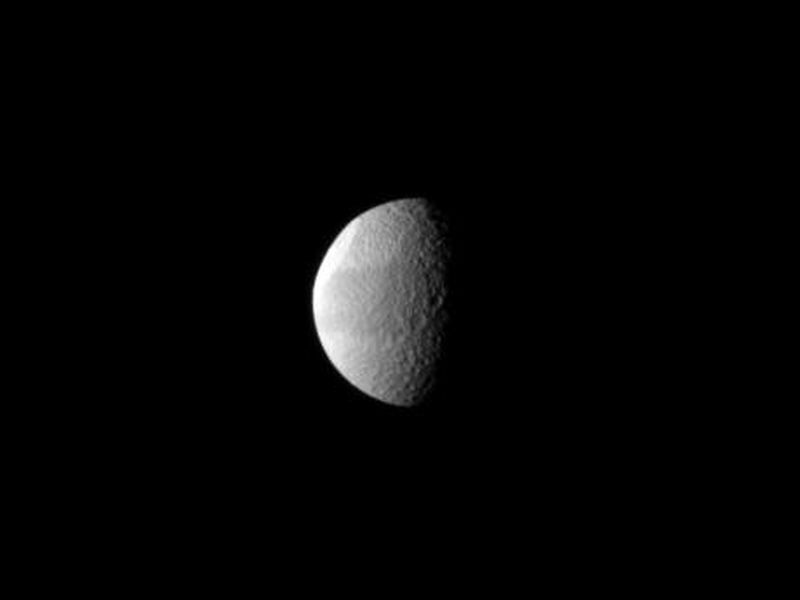 Tethys' huge Odysseus Crater is brightly lit in the northern latitudes of this Saturnian moon in this Cassini spacecraft view. The crater is seen almost edge-on in the upper left of the image. See PIA07693 for a closer view of this crater. Lit terrain seen here is on the leading hemisphere of Tethys (1,062 kilometers, or 660 miles across). North on Tethys is up and rotated 1 degree to the left. 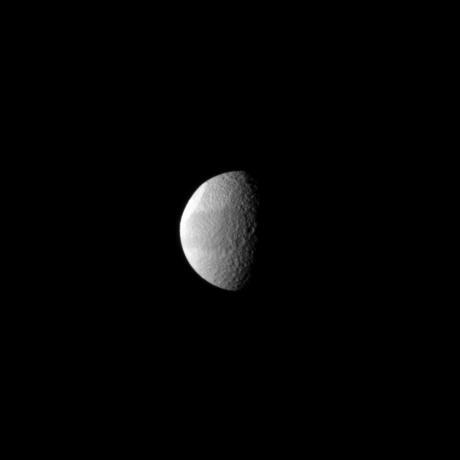 The image was taken in visible light with the Cassini spacecraft narrow-angle camera on April 9, 2010. The view was acquired at a distance of approximately 1.5 million kilometers (932,000 miles) from Tethys and at a Sun-Tethys-spacecraft, or phase, angle of 75 degrees. Image scale is 9 kilometers (6 miles) per pixel.